Holman Immigration Law: Vermont based law firm devoted exclusively to the practice of U.S. Immigration and Nationality Law. We are a Vermont based law firm devoted exclusively to the practice of U.S. Immigration and Nationality Law. As immigration law is based on federal statutes and regulations, we may be retained to represent you, a family member, a loved one, a friend, an employer, or an employee regardless of your or their location. 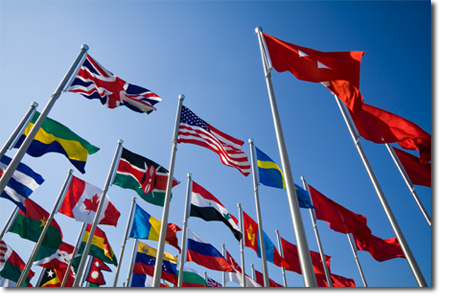 We currently represent clients throughout the U.S., internationally and, where permitted, at U.S. consulates abroad. In addition, we are conveniently located less than an hour from the U.S. and Canadian border and thus, we are able to assist with applications for admission made at a port of entry. Stay up to date with Leslie Holman's speaking engagement and the latest immigration news with our Press Release section. Articles, videos and op-eds available. Visit Leslie's blog for editorials on the latest developments in immigration law and policy. Leslie A. Holman is the founder of Holman Immigration Law, a law firm located in Burlington, Vermont and dedicated and limited to the practice of immigration and nationality matters. More information is available on her About page.